... that are total fiction. Our Country is doing so well, yet this is a sad day in America! The Fake News Media in our Country is the real Opposition Party. It is truly the Enemy of the People! We must bring honesty back to journalism and reporting! ... and the FAKE NEWS media [+FAKEWOOD] pushed a stock market collapse if POTUS was elected? Poveda said the letters "indicated precisely the concerns we have over withdrawal of nationality and asylum." So @Lenin Moreno is also planning to withdraw citizenship? He has to if he wants to legally evict #ASSANGE: #Ecuador's constitution protects citizens from extradition. Poveda said #Assange's lawyers have been "keeping an eye on UK newspapers" and seeking to meet @Lenin Moreno "but at the moment there seems no possibility of doing so." Is #POTUS bringing Julian Assange to the US? This article is an attempt to encourage people to help in whatever way they can, and also to provide hope by seeing what people have already done! 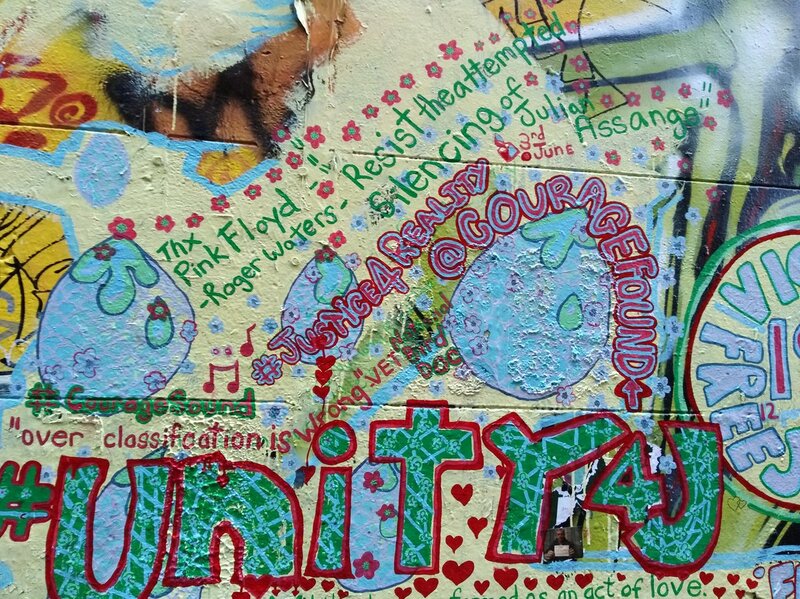 eg: Roger Waters' demonstration of solidarity at a concert, @ChrisLynnHedges's twitter thread, artists like @yarraspot & more!